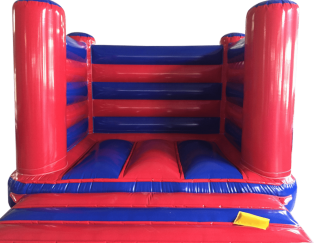 With small water drain holes and 1 x zip in the rear and one in the front step for fast deflation these bouncy castles are manufactured to perfection. All of our material is made to EN14960, we add mold and fungicide inhibitor to keep your inflatable Adult Box Castle 6 x 6 in a top condition for longer. Free – PIPA test on all bouncy castles for sale (where appropriate, or standard RPII on all other non PIPA scope inflatable). Free – 1 Years return to base Warranty. Free – 5 Year reduced annual testing at our warehouse (RPII – 50% discount) (PIPA revalidation 25% discount including certificate). Free – Cam buckle straps. Free – Blower Tube cam buckle straps sewn on. Free – Zips for fast deflation, not hidden underneath but easy access on the sides and back with Velcro covers. Free – Quad stitching on high load areas and stress points. Free – PVC rain cover (where practical)– Stronger than Nylon rain cover and Flame retardant, Some Open Box castles do not come with rain covers as it is not practical. Free – User manual and warranty paperwork. Free – Advice any time from our in house RPII and PIPA testers. 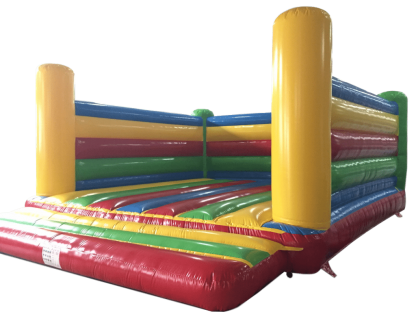 Free – Design service for custom made bouncy castles and inflatables. Free – No gimmick free website listings or pushy sales. Buy with peace of mind with a free PIPA test you can be assured that our inflatables are made to the latest safety and European test standards. AAA Inflatables Ltd Bouncy castle Sales. If you are looking to set-up a bouncy castle hire company, give us a call or email for advice. We are here to help you make the right decision which best suits your needs and budget. 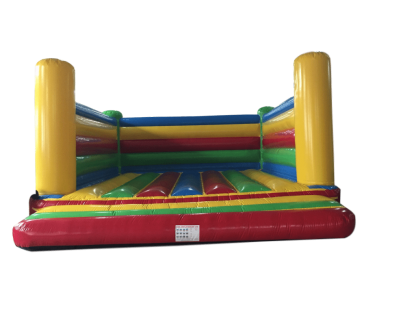 We hold many bouncy castles in stock for next day delivery. 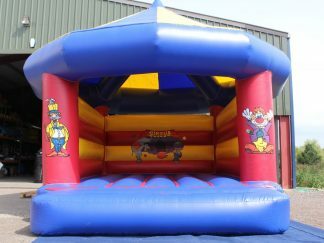 Come and see the range of bouncy castles we have for sale in our 8000 sq ft unit all under cover. We are based in Cambridgeshire with easy access from all over the country. Prices start from as little £500 new or take a look at our used section for some of the bargain bouncy castles we have for sale in our 8000 sq ft unit all under cover. AAA Inflatables Ltd Bouncy Castle and Accessories sales has been supplying the Best quality Bouncy castles and Inflatable Accessories for over 10 years, we have a proven track record with Customer care and product design, if you cant find a bouncy castle for sale on our site please contact us and we can talk you through the best options for us to custom manufacture your bouncy castle to your requirements. If you are Outside the UK then we can ship our bouncy castles and Accessories all over the world, please contact us if you are Outside of the UK mainland for a shipping Quote. As you can imagine most of our inflatables can be Large and Heavy and can be delivered on multiple pallets. All of our inflatables meet and exceed the European standard EN14960:2013 Both Directors of AAA Infatables Ltd are RPII inspectors to the EN14960 Standard. 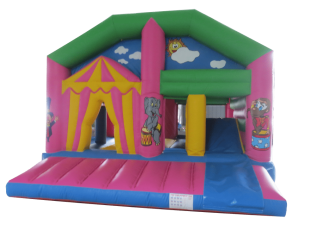 We use the Latest Cad Cam design solution coupled with a state of the art CNC cutting machine so your Bouncy castle are manufactured to a high and consistent manner. We use ISF paints the world leader in PVC paint technology and we can supply the certificates for lead content. 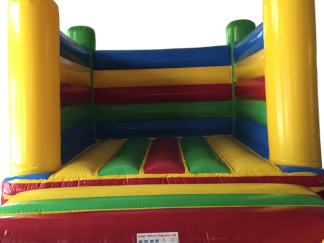 Our Bouncy Castle Material exceeds EN14960 requirements, heavy metal free, colour fast and very durable.